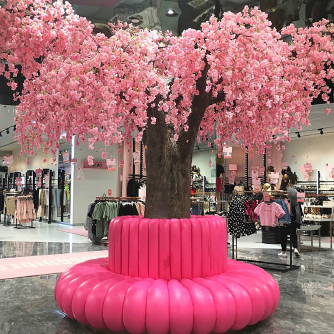 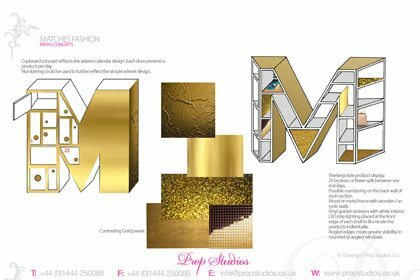 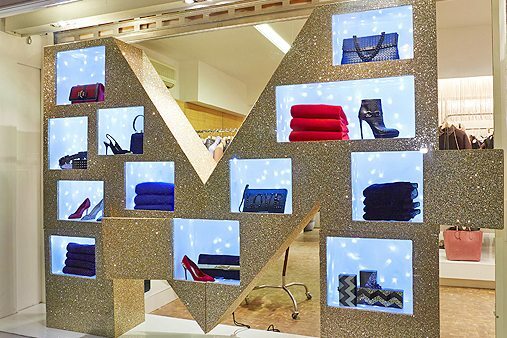 Prop Studios were commissioned by Matches Fashion to create a Christmas display for their stores in Notting Hill and Wimbledon. 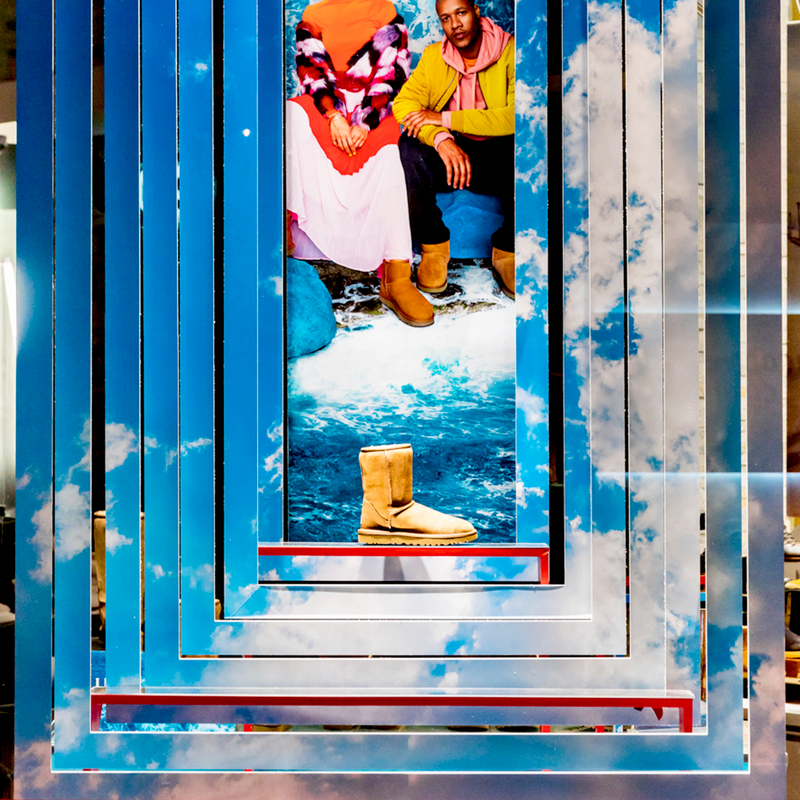 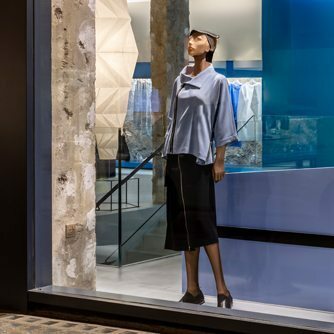 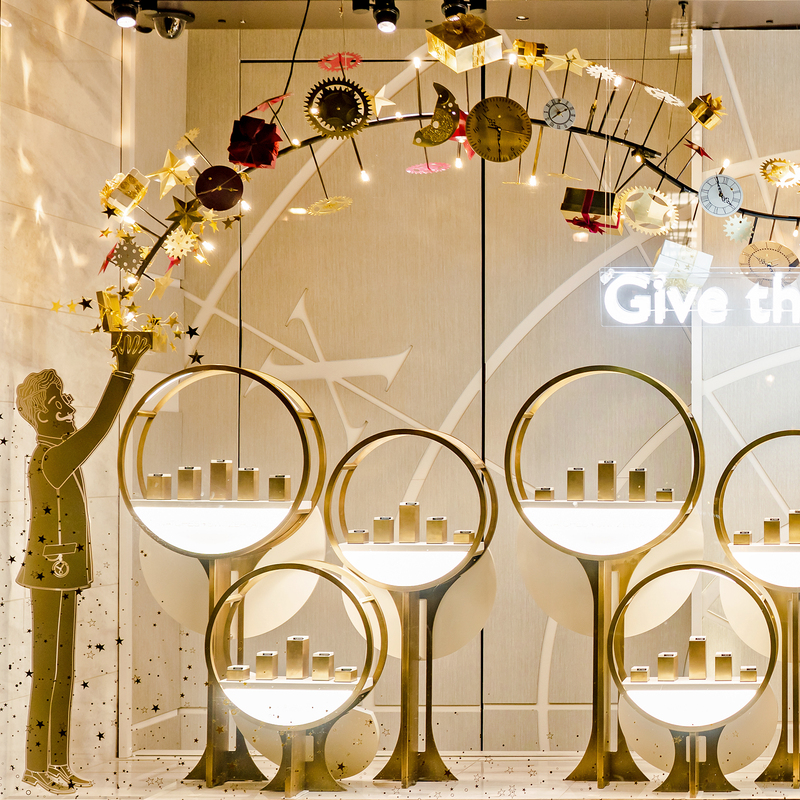 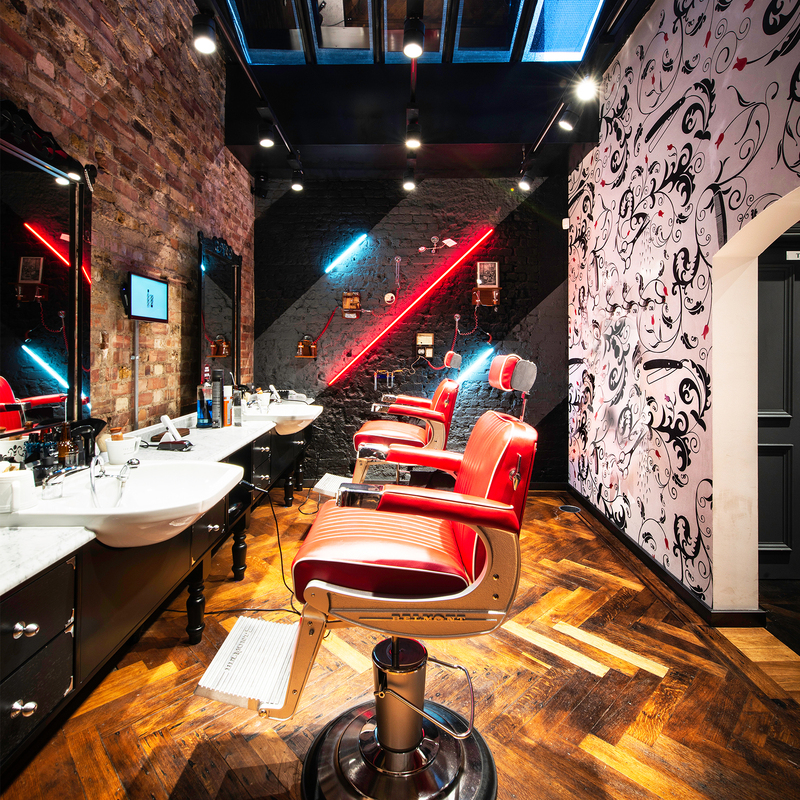 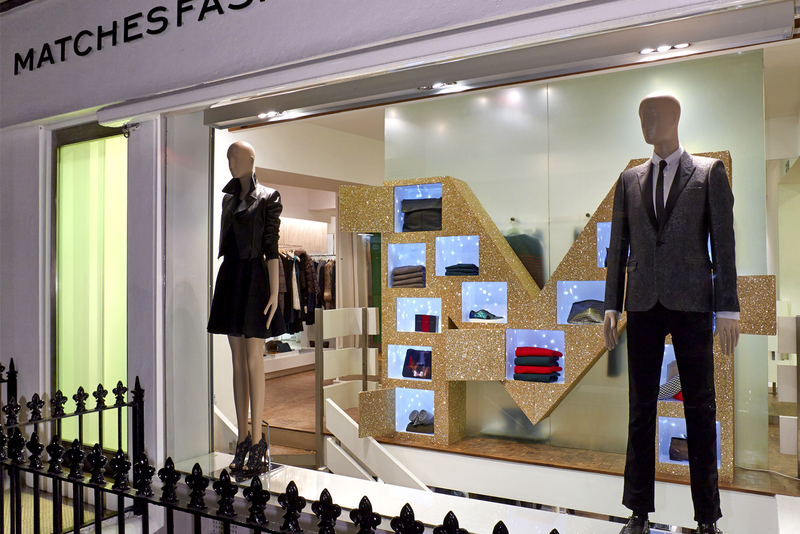 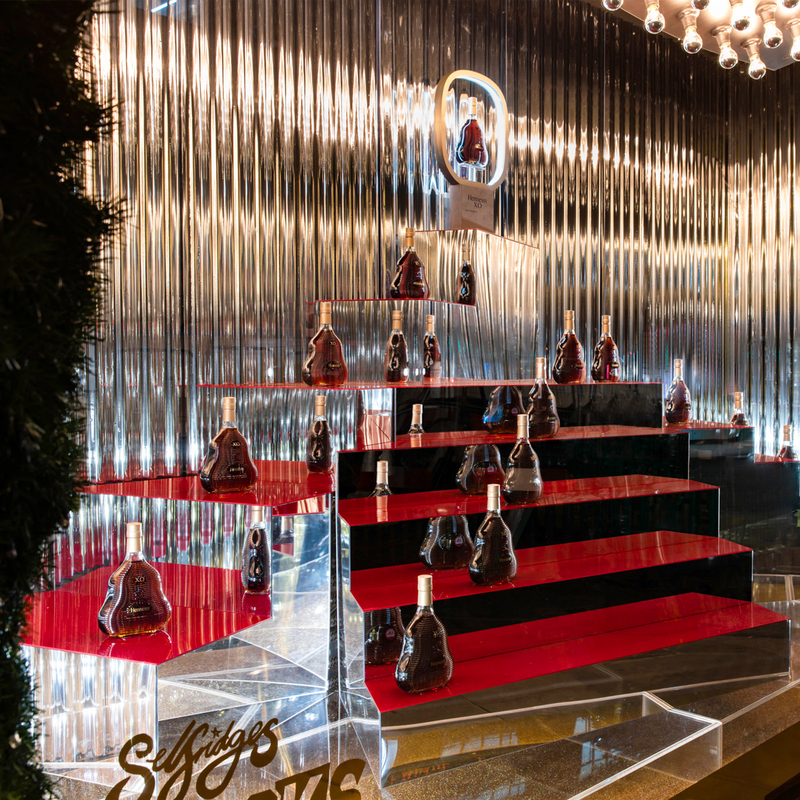 The show stopping windows were a fresh take on the Christmas theme which effortlessly aligned with the brands identity. 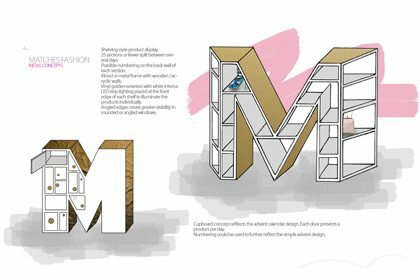 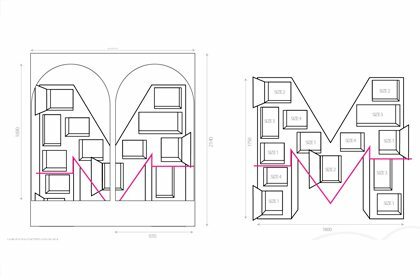 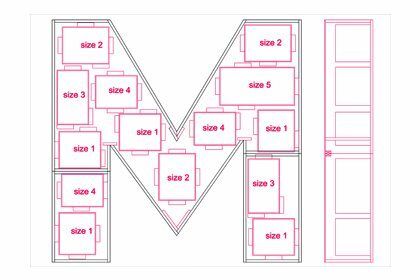 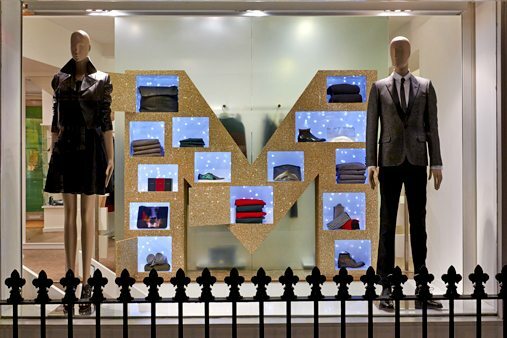 Each store was designed with a bespoke giant letter ‘M’ which had the look and feel of an advent calendar. 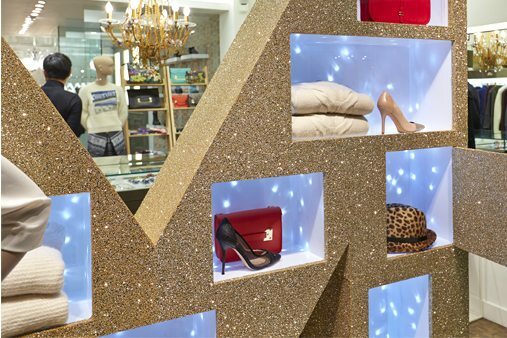 To give the design a festive feel, gold glitter fabrics were used to cover the shape. 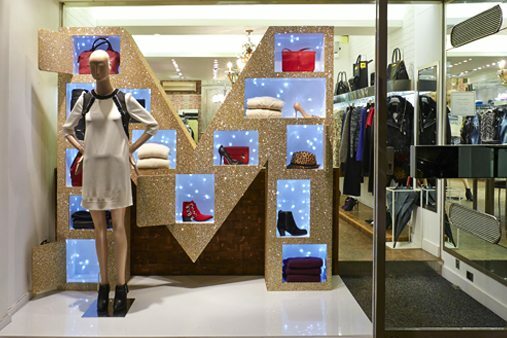 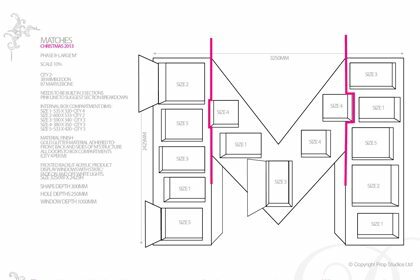 The advent-style doors and openings on the front of the M were frosted acrylic boxes and each box was wrapped with white LED fairly lights to back light the M. The lighting provided the perfect backdrop to light up the Christmas collection.